← How to batch convert PowerPoint to SWF? VeryPDF CHM to PDF Converter can run well under both Windows and Mac systems. A command line version is provided, and you can get this CMD version for free when purchase this software application. This article shows how to use the command line version of VeryPDF CHM to PDF Converter. The first three options are used to select the pages to convert from CHM to PDF. -chp <int/int/int..> : Select a CHM chapter to convert to PDF. For instance, the following one can extract the first section of chapter two from the original CHM. -chpft <int/...> <int/...> : Select a chapter or section range to convert. The chapters or sections must be under the same node. The first example below is an proper example, while the second one below is an inappropriate example. -pgft <int> <int>: Select a page range to convert. No bookmark will be generated. For example, the command line below can extract pages from 1 to 25 from CHM to PDF. The first number after -pgft presents the beginning page, and the second number presents the last page. The following four options are used to set page margins for the output PDF file. -B <num unit> : Set the page bottom margin (mm/cm/in/pt, default 10 mm). -L <num unit> : Set the page left margin (mm/cm/in/pt, default 10 mm). -R <num unit> : Set the page right margin (mm/cm/in/pt, default 10 mm). -T <num unit> : Set the page top margin (mm/cm/in/pt, default 10 mm). The following one can be used to set page orientation. 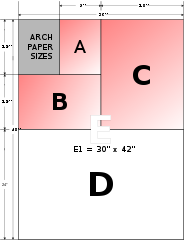 -s <string> : Set paper size (A4/A3/Letter/Legal/etc. 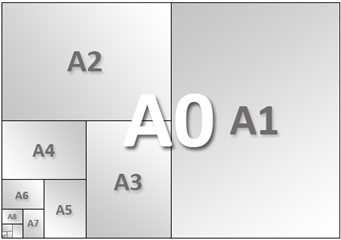 Default A4). -h <num unit> : Set page height (mm/cm/in/pt, default unit mm). -h and -w must be used together. -w <num unit> : Set page width (mm/cm/in/pt, default unit mm). -g : Generate PDF in grayscale. If you want to generate grey scale PDF, you can use this option. -l : Generate low quality PDF.If you want to reduce the file size of the result PDF file, this option may be helpful. This entry was posted in @VeryPDF News, CHM to PDF Converter, Promotion and tagged chm to pdf, command line, pdf page size. Bookmark the permalink.